This magnificent key chain features a gold plated metal pineapple charm that has an intricate molded design of a pineapple and gold stalk on top. The pineapple charm is attached to a gold chain and gold key ring. 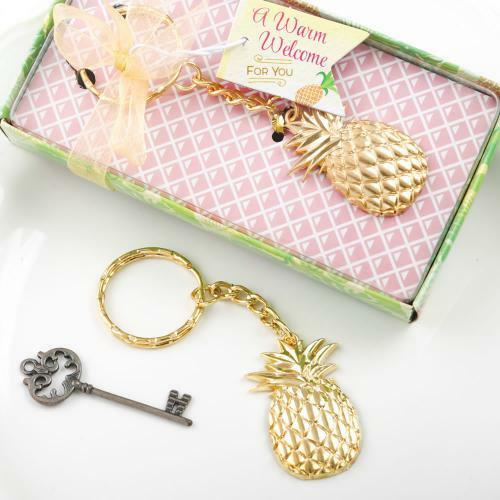 Follow the hot pineapple trend and welcome your guests with these stunning gold pineapple key chains. Size of charm 1 1/2" x 1"
Size with chain and key ring 3 1/2"